This video consists of an interview of the actor Thomas Dekker. At the age of 6, Dekker starred in a 1995 John Carpenter movie called “Village of the Damned” as a child alien. He is the only character that escapes death in the film. Since then, he has taken a career as an actor and starred in numerous TV series and some motion pictures. 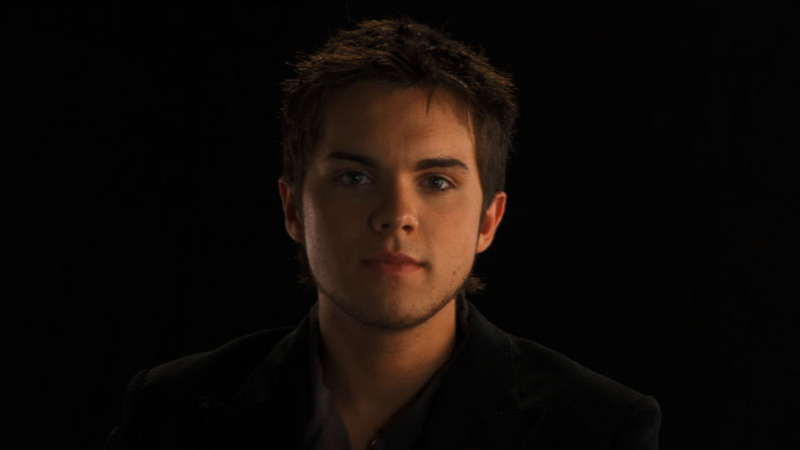 In the interview that the artist conducts, questions are made to the character that the actor played in the movie -the child alien- and these questions are answered by Thomas Dekker as an individual. His age on the film narrative coincides with his real age. Having worked as an actor since his childhood, Thomas Dekker’s life revolves entirely around acting, thus around fiction. This interview grasps the degree to which the actor perceives himself to be immersed in the domain of fiction.